The present work is an extensive treatise of Ayurvedic Medicine as occurring in Charaka, Susruta, Vegbhata and other authoritative Sanskrit works on Ayurveda. The set of 2 volumes will be an ideal reference book on Ayurveda. Apart from being a basic reference this book can be used by students and the practitioners of Ayurveda and the basic fundamentals of Ayurveda and its treatment. With growing interest in Indian medicine and traditional methods of treatment by natural mate-rials this book will be of interest to every one interested in Natural medicine as well. Volume One contains a very descriptive and elaborate preface which traces the history and methods of treatment of Ayurveda from ancient times to the present day. The Introduction deals with the theory of health and diseases and general principles of Hindu Medicine. This has been extensively explained with citations from ancient texts. The introduction makes the reader understand the fundamental principles of Ayurvedic Medicine. The introduction also treats the different kinds of medicine and the fundamental principles towards the treatment of various diseases. The fourth section deals with different modes of administration of medicine. The next section gives a general treatment of weights and measures used in the preparation of medicines. The main body of the book deals with the detailed treatment of diseases and their treatment. Volume Two contains the general methods of preparation of Ayurvedic medicines and selection of plants and other material for the preparation. 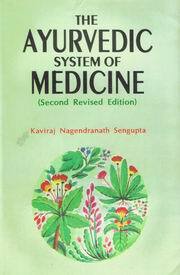 The main body of the second volume is the Ayurvedic Pharmacopoeia. This section deals with manufacture and preparation of Ayurvedic drugs. The classification of the plants is an added attraction to this book and is based on Rendle classification of plants. Totka treatment or the use of domestic medicines. Kaviraj Nagendra Nath Sengupta was a leading practitioner of Ayurvedic Medicine of his time. He has authored several books in Bengali and English.